McKee's 37 Trademark Poli-Coat Wax 128 oz. Buy One, Get One FREE! McKee's 37 Trademark Poli-Coat Wax, 8 oz. 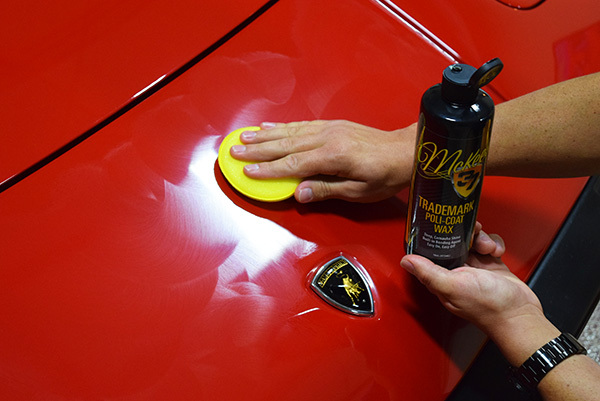 McKee's 37 Trademark Poli-Coat Wax imparts a dazzling, 3-dimensional liquid shine that complements all colors. 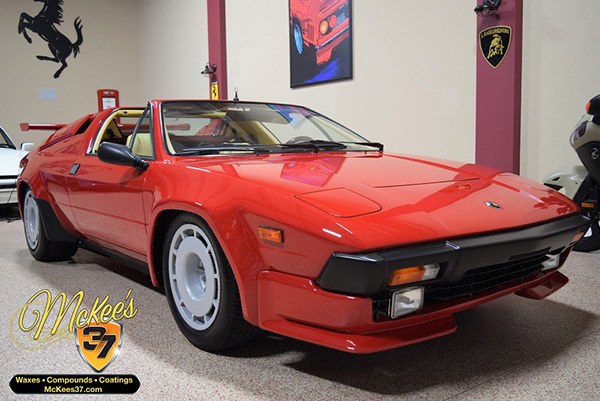 This easy on, easy off formula combines genuine Brazilian carnauba wax with super slippery synthetic polymers designed to provide a thick, glossy shell of protection that can withstand the harshest climates. A built-in bonding agent primes the surface for Trademark Poli-Coat Wax, enhancing gloss while creating a foundation for long-lasting paint protection. Trademark Poli-Coat Wax is effortless to apply and remove; apply a thin coat and allow to dry to a haze. One swipe with a clean, soft microfiber towel is all it takes to remove the wax, revealing mile-deep reflections that last months, not weeks. McKee's 37 Trademark Poli-Coat Wax is formulated to outlast and outperform other liquid waxes with a revolutionary self-prepping formula. The wax contains a bonding agent that maximizes the longevity and durability of the polymers. In just one step, McKee's 37 Trademark Poli-Coat Wax forms a tough polymer coating with true staying power. Your paint will gleam with McKee's 37 Trademark Poli-Coat Wax. This synthetic formula is built around the same Brazilian carnauba wax found in our flagship paste wax, Trademark Carnauba Paste Wax. In fact, we couldn't add more carnauba wax if we tried ' Trademark Poli-Coat Wax is waxed to the max! So, what was left, then? Synthetic polymers, the same ones found in our High-Def Paint Sealant. Trademark Poli-Coat Wax provides the warmth and depth of a genuine carnauba paste wax, with the longevity of a synthetic paint sealant. It's a match made in heaven! Not all liquid waxes are created equal! McKee's 37 Trademark Poli-Coat Wax is effortless to apply AND remove. In fact, one 16-ounce bottle is enough to completely coat 15 midsize sedans! You'll be pleasantly surprised at just how easy Trademark Poli-Coat Wax is to remove once it dries to a haze; one swipe of a soft, lint-free microfiber towel will reveal extremely glossy, well-protected paint. Most liquid waxes are lacking in the longevity department, but not McKee's 37! Trademark Poli-Coat Wax provides protection measured in months, not days or weeks. How many months to be exact? Most users will see anywhere from 6 to 8 months of protection! Maintain the shine and protection with our Trademark Extender Spray Wax for even better longevity! For the deepest shine possible, treated surfaces should be washed, clayed, and polished first. Apply a nickel-sized dollop of wax directly onto a soft foam applicator pad. Evenly spread out a thin coat. Add more wax to applicator as needed. After applying to entire vehicle, allow the wax to dry to a haze for 30 minutes. Buff the paint using a clean, soft microfiber towel until all residue is removed. Flip towel often. Optional: apply using a dual-action polisher equipped with a soft foam pad. Maintain your new-found glossy paint using McKee's 37 Power Wash and Trademark Extender Spray Wax.